These 5 Beverages are a Must for The Long Weekend! There’s nothing better than spending an extra day of your weekend in the summer – and we know the perfect drinks that can satisfy your thirsty cravings! Nothing tastes like summer quite like an Iced Tea Lemonade does. Melon Berry is an all-time fave, as this will definitely satisfy your berry cravings. It’s made with certified organic whole leaf tea and contain less than 150 calories in a regular size! Our Small Batch Cold Brew is steeped for 16 hours and delivers a smooth and bold flavour that will energize your entire weekend. Feeling a little creative? Have it with coconut milk and a flavour shot! Need a coffee alternative? 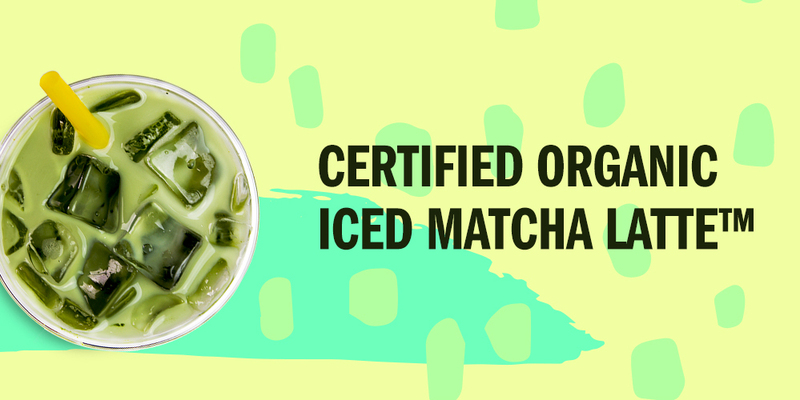 Indulge in our delicious, organic Iced Matcha Latte. This drink is pure with antioxidants and can sustain energy for up to 6 hours! This favourite will have you ready for anything this weekend! If mango is your favourite fruit, then you’re in for a treat! This delightful and tasty drink will keep you nice and refreshed all weekend long! Made from organic and locally-sourced spices – turmeric, cardamom, cinnamon, ginger – this heavenly beverage is packed with anti-inflammatory properties that will make you feel at your best! Visit a BLENZ COFFEE near you and sip on these refreshing summer pick-me-ups!